London is looking to promote cycling and remove the barriers that prevent people getting on two wheels. That’s according to the recent Cycling Action Plan published by the Mayor’s Office and Transport for London (TfL). 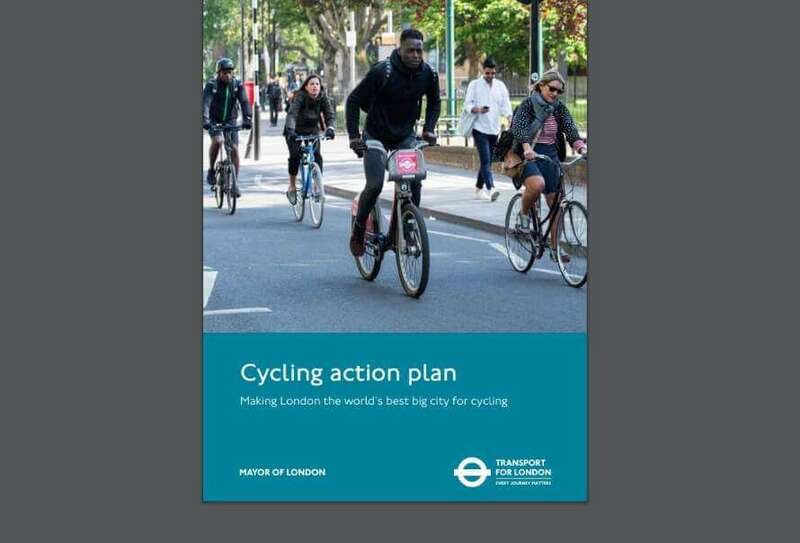 What is the Cycling Action Plan? The aim is to make the capital one of the leading cities for cycling over the next five years. It’s an ambitious project that includes new infrastructure that many advocates have long been asking for. Part of the plan is to create a ‘single unified network’ where people can feel safe cycling at all times. Some routes have already been mapped out and have passed the planning stage – Greenwich to Tower Bridge is one. Others are still in the consultation stage with much work left to do. Will Norman (Walking and Cycling Commissioner) mentions that if you head out in Europe, especially to cities in Denmark and the Netherlands you’ll see people of all ages safely riding their bikes. As a part of their everyday life. Recent changes to infrastructure that favour cycling routes in London have already shown great success. But much more needs to be done. Two particular issues that have caused problems for would-be cyclists have been cycle parking and bicycle theft. These remain very serious issues and ones which need to be overcome if the plan is to be successful. With the increased number of people potentially using bikes, parking certainly needs to improve. In 2019, London will be implementing a ‘Cycle Parking Strategy’ which aims to improve the quality and availability of cycle parking. While some parts of London are already reasonably well-served, others are sadly very lacking in secure facilities. Developments will include providing more parking at underground stations, getting local businesses involved and working with retailers to develop areas where bikes can be safely left. Stolen bikes continue to be an issue that prevents people taking up (or continuing) cycling in London and most other parts of the country. This five-year plan looks at creating a ‘National Cycle Security and Safety Strategy’. Part of that involves ensuring bikes are properly marked and registered. There are also plans for theft prevention sessions, which will be made available to cyclists on how best to protect their property. The Cycling Action Plan has largely been welcomed by group interests such as the London Cycling Campaign who have long advocated for better infrastructure and cycle routes. There are detractors, however, who say getting boroughs and other stakeholders aligned is going to be difficult, if not impossible, and that a five-year action plan may well be more than a little over-optimistic. There’s no doubt, however, that the successful completion of the strategy over five years should deliver many benefits, including better air and safer cycling. It will certainly require the support of different boroughs and local businesses and organisations.